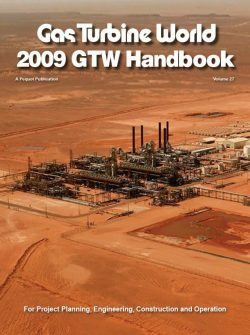 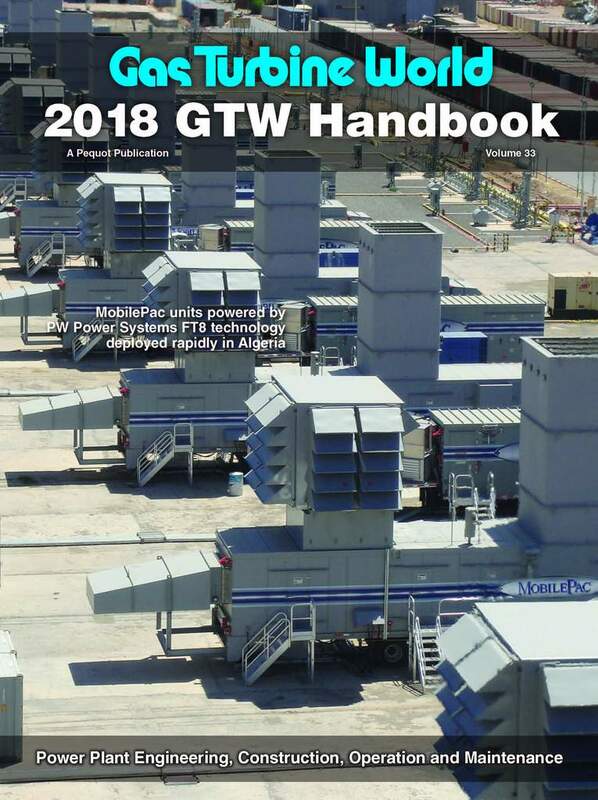 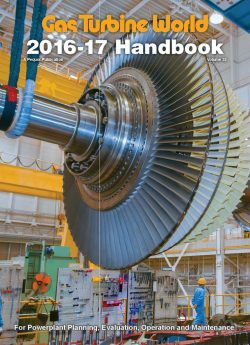 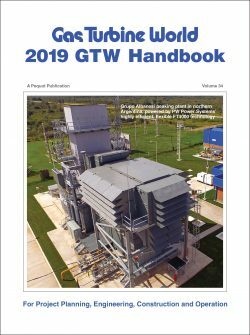 The GTW Handbook is updated annually as a combination Reference and Buyers’ Guide for major phases of gas turbine power plant development, planning, evaluation, procurement, construction, operation and maintenance. 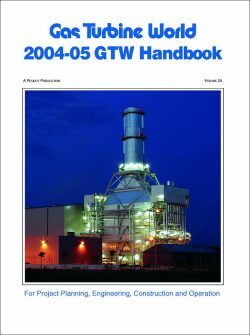 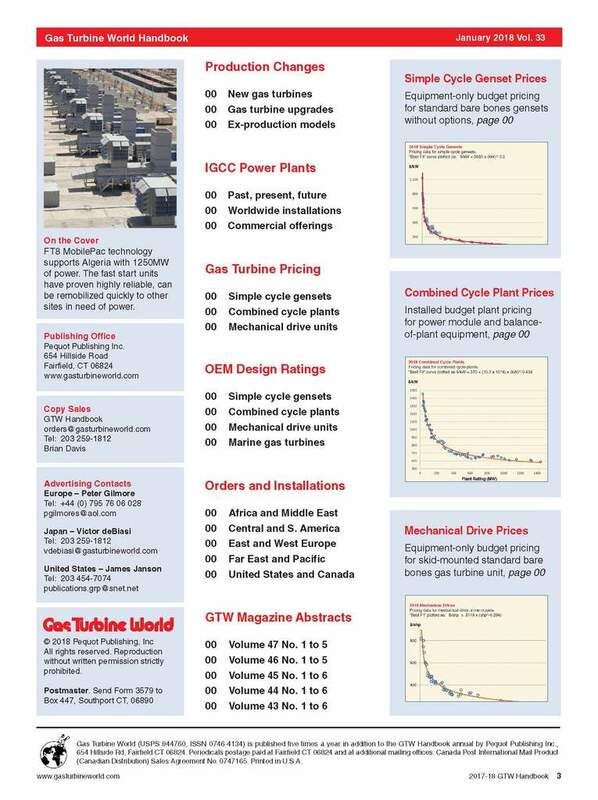 Year-round project reference and Buyers’ Guide for gas turbine power plant development, planning, evaluation, procurement, construction, operation and maintenance. 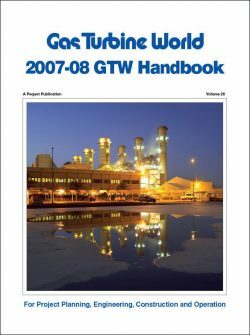 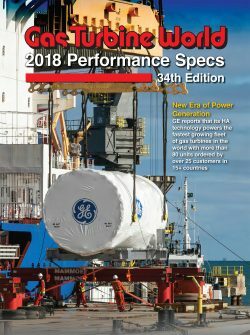 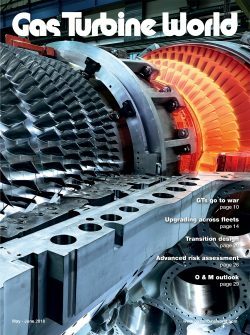 Contains updated reference sections on availability of new and upgraded gas turbine models; budget estimating prices for simple cycle, combined cycle and mechanical drive plants; up-to-date gas turbine performance specifications; project orders and installations; company directory and index of related product and service suppliers. 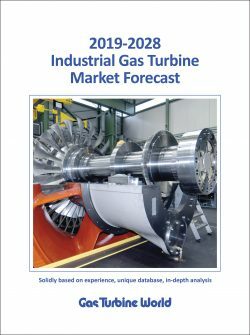 Invaluable tool used by gas turbine builders, developers, owner-operators, consultants and balance-of-plant suppliers for preliminary study, funding, engineering, specification, bidding and implementation phases of project development for new and existing power plant facilities.